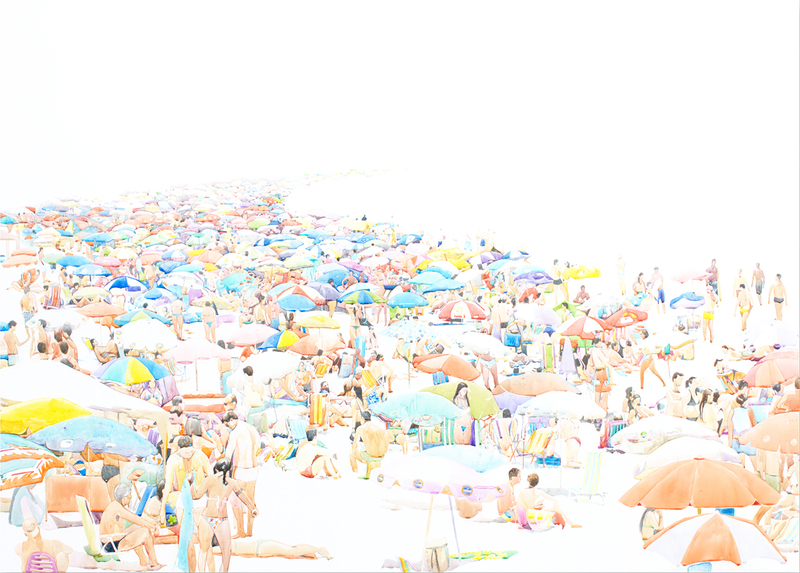 The beach is the ultimate threshold. 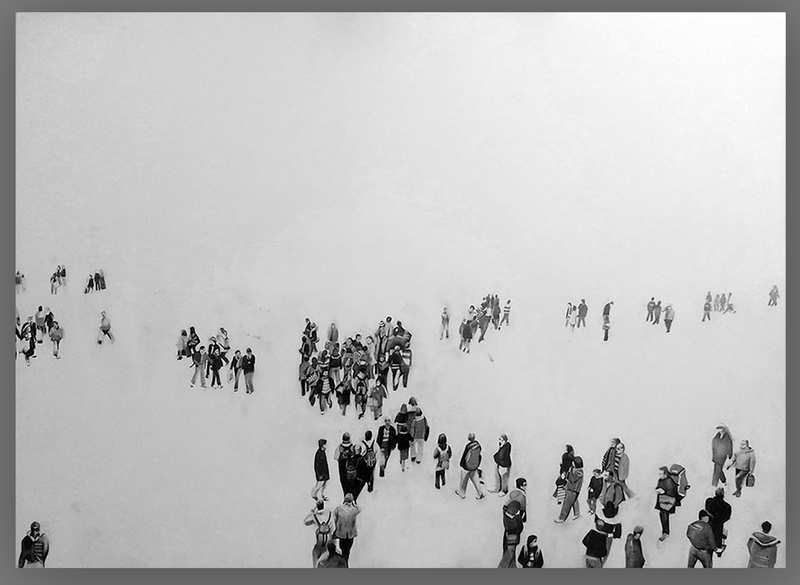 It takes us to the edge of our natural habitat, leaving us on the brink of something so vast and mysterious that the imagination immediately sets sail. 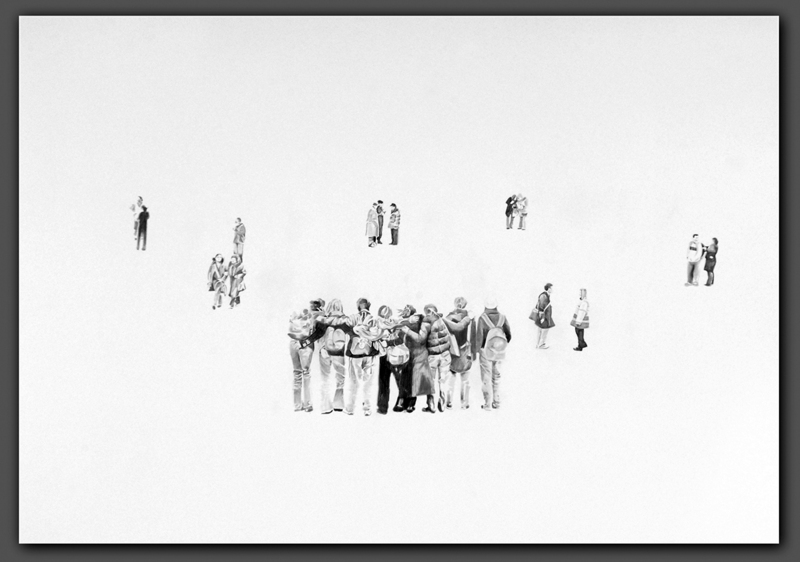 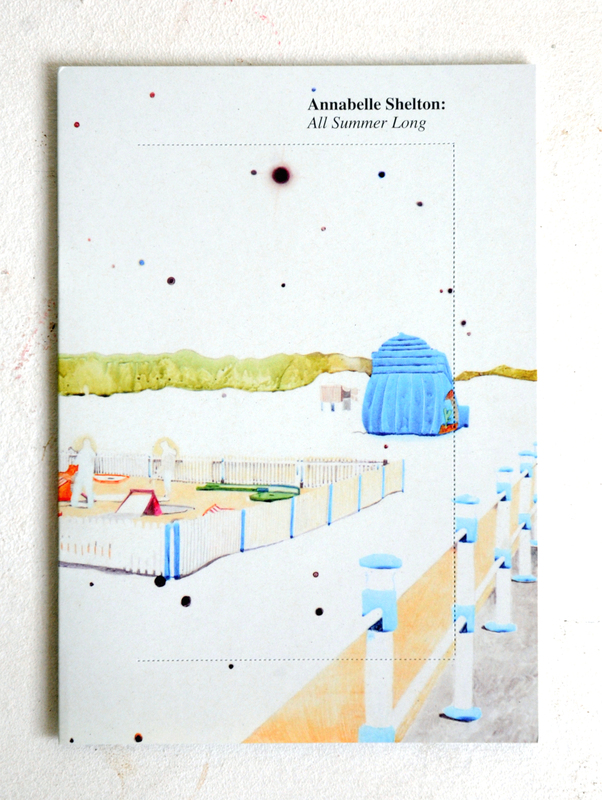 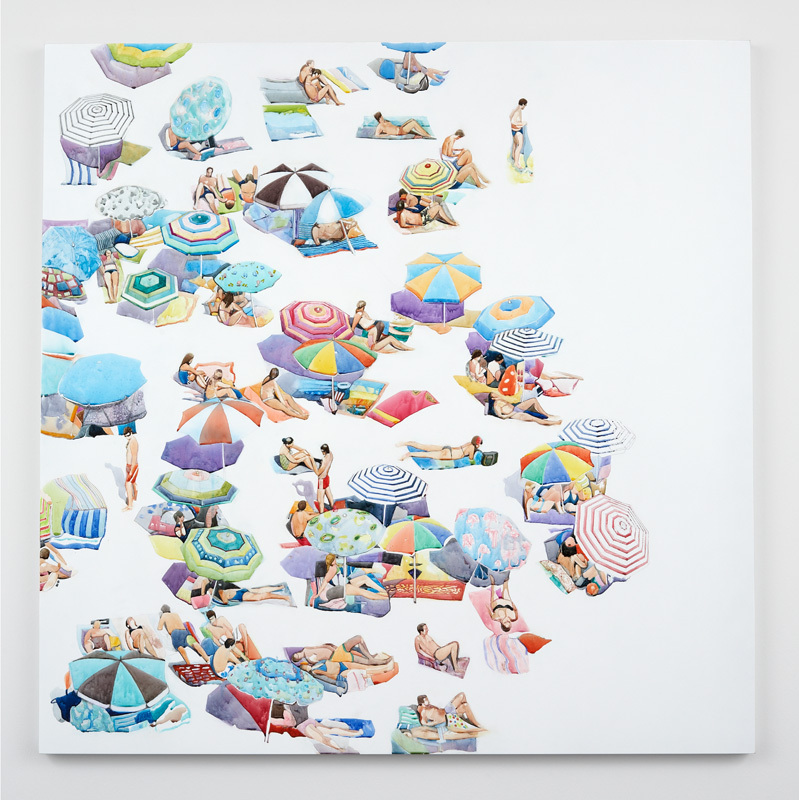 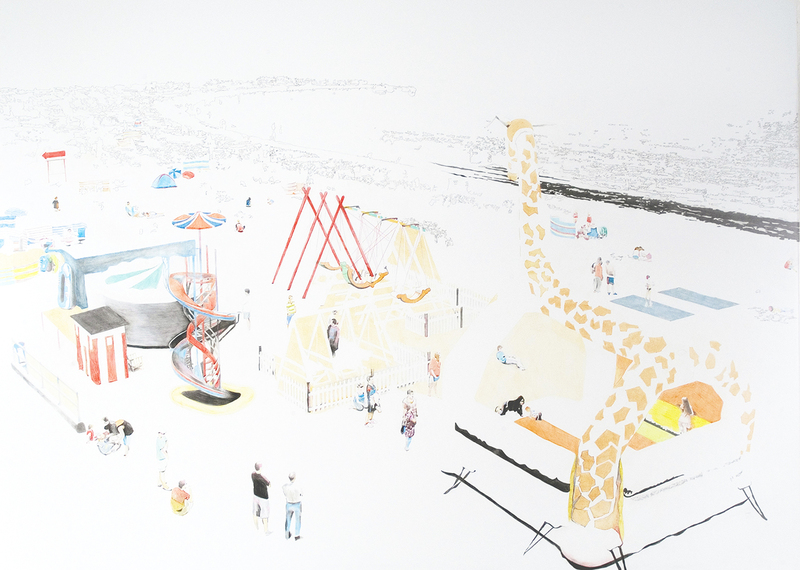 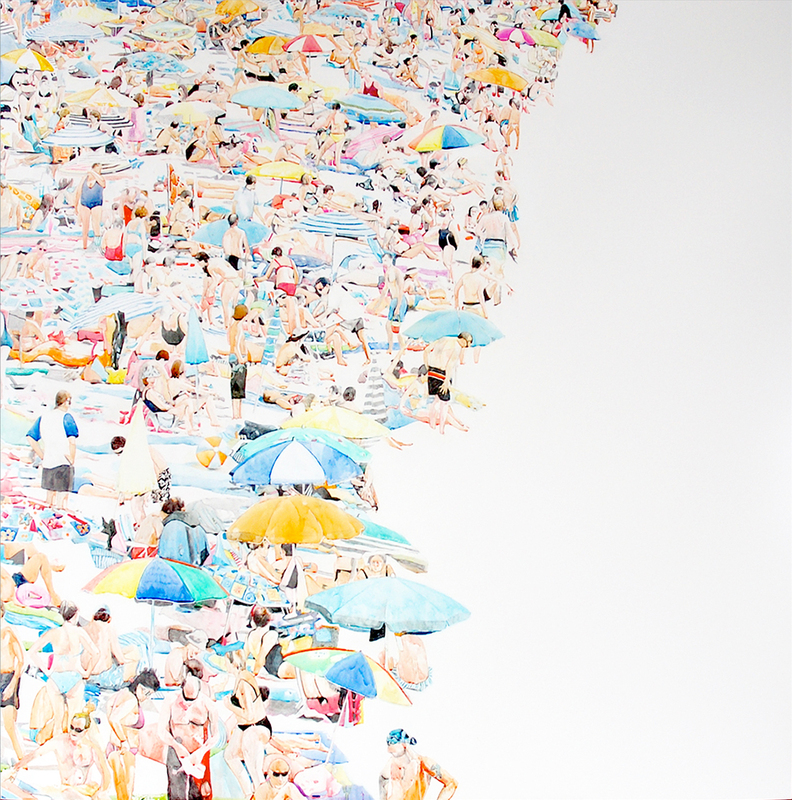 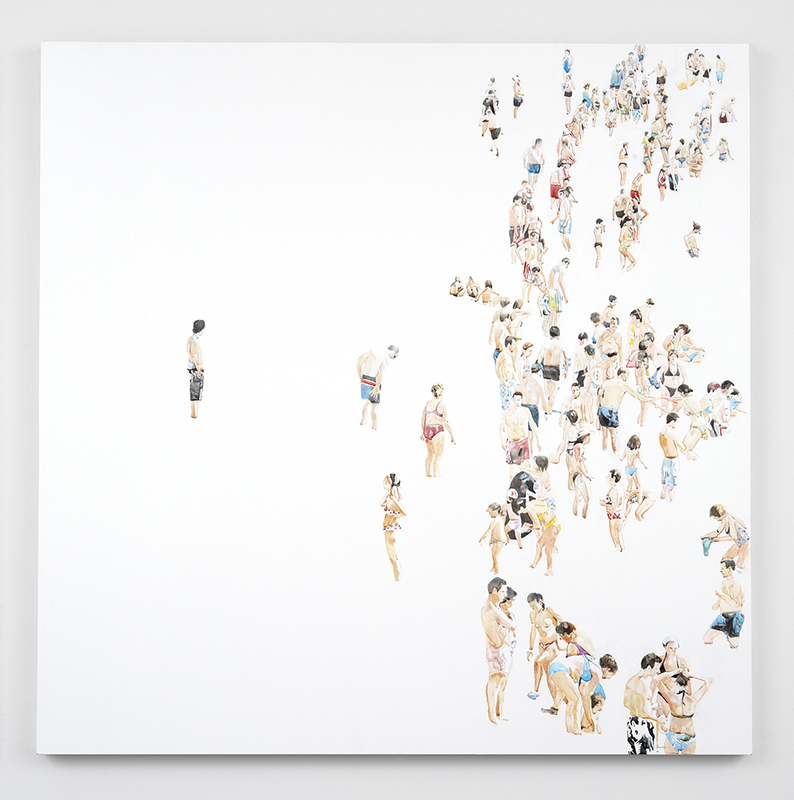 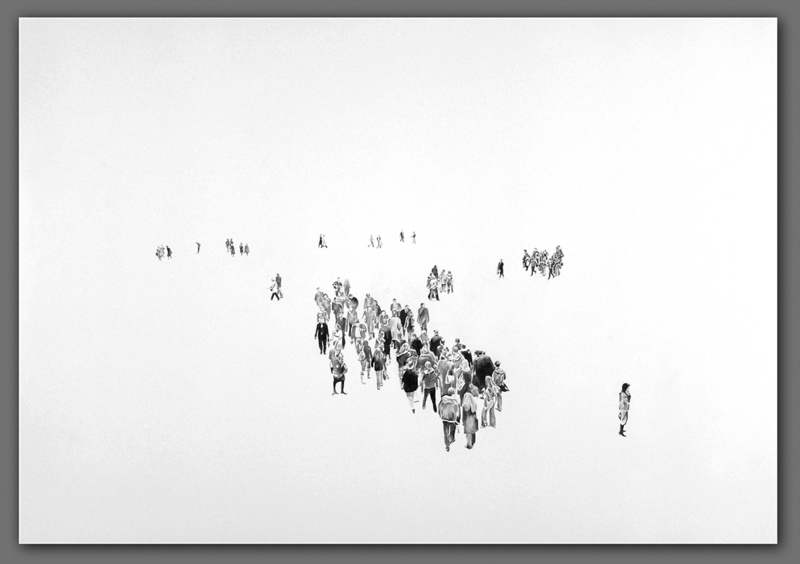 Looking at the larger beach scenes by Annabelle Shelton we encounter very quickly an unsettling paradox between the beach as an endless and timeless space, and the detailed minutia of the many individuals choreographed across the surface of the work. 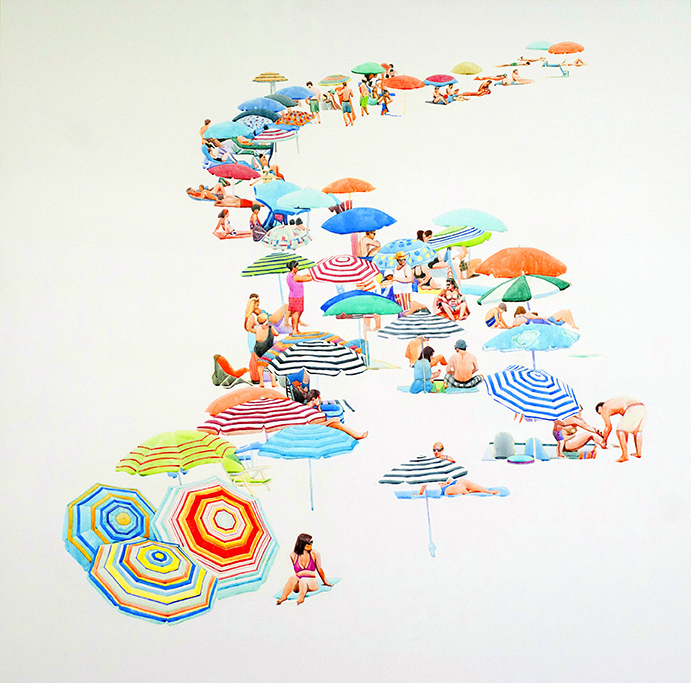 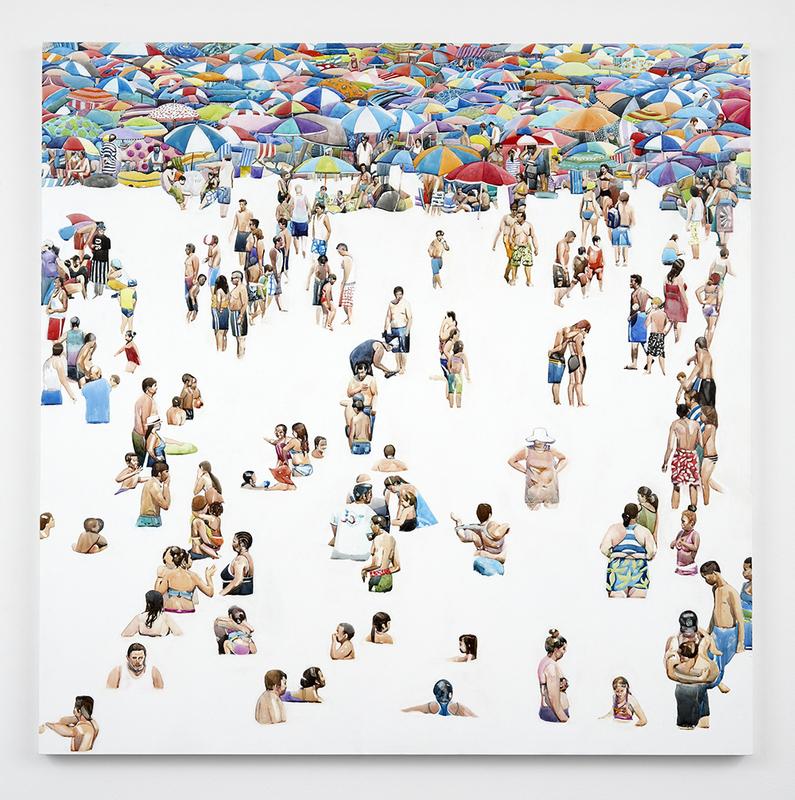 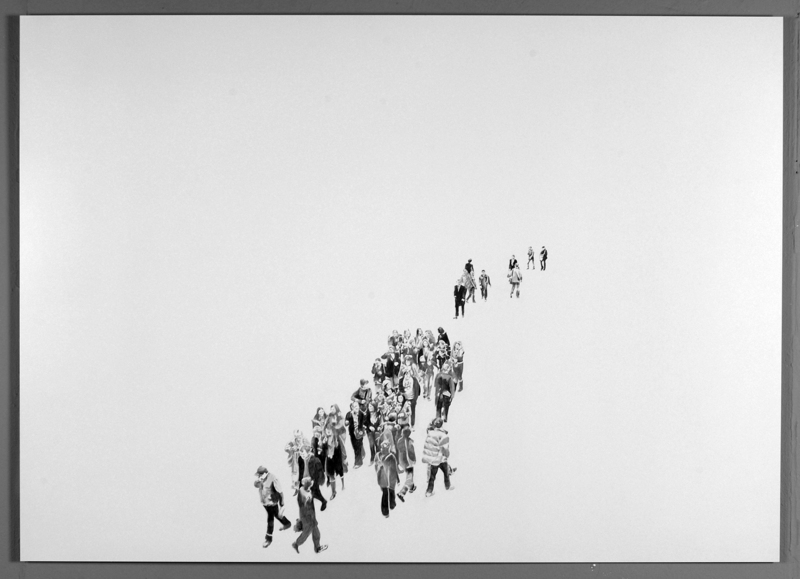 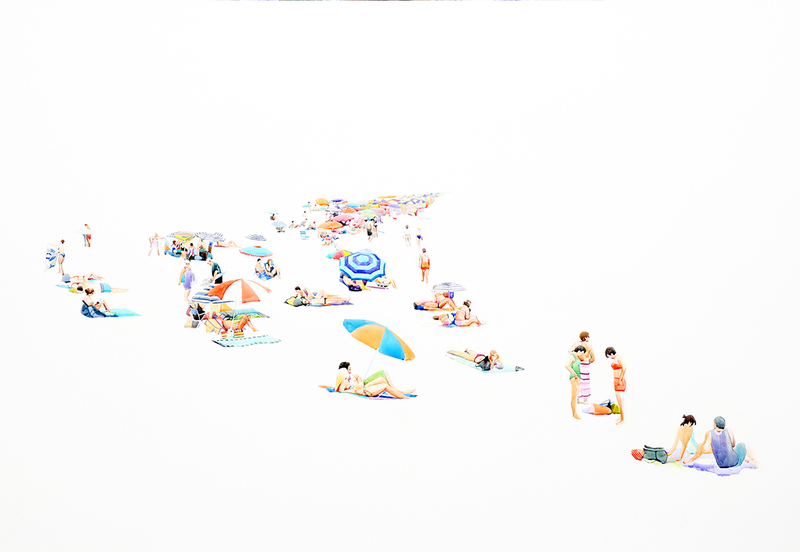 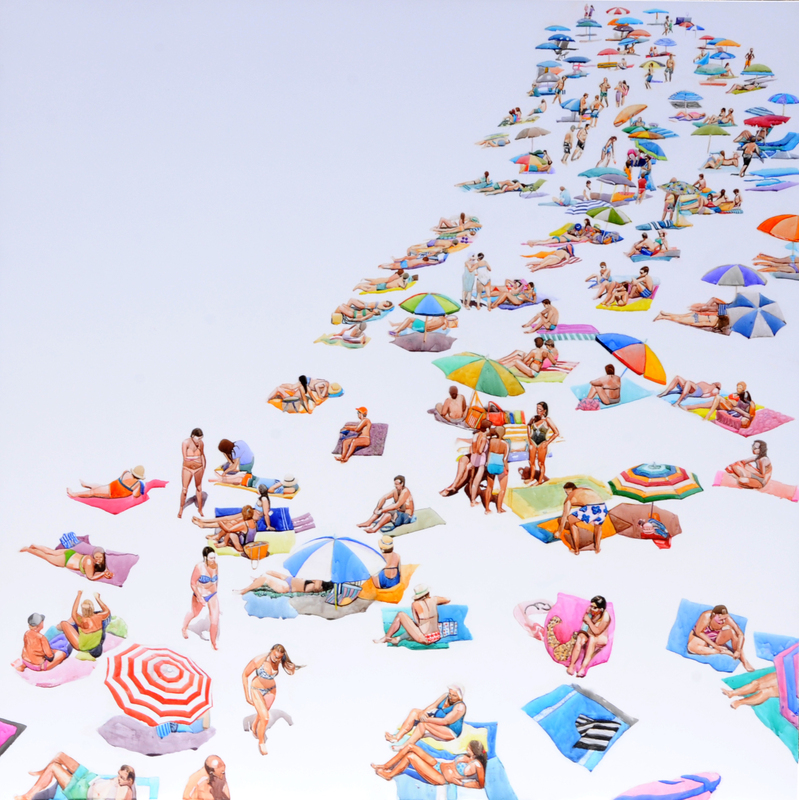 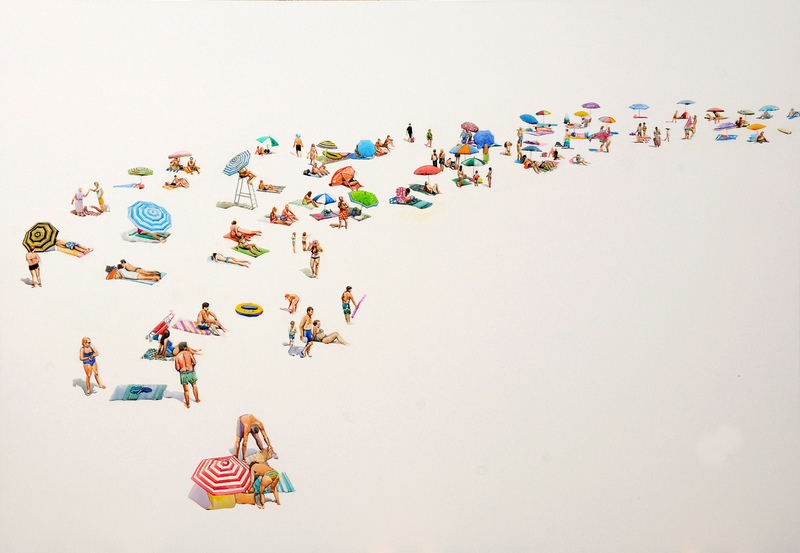 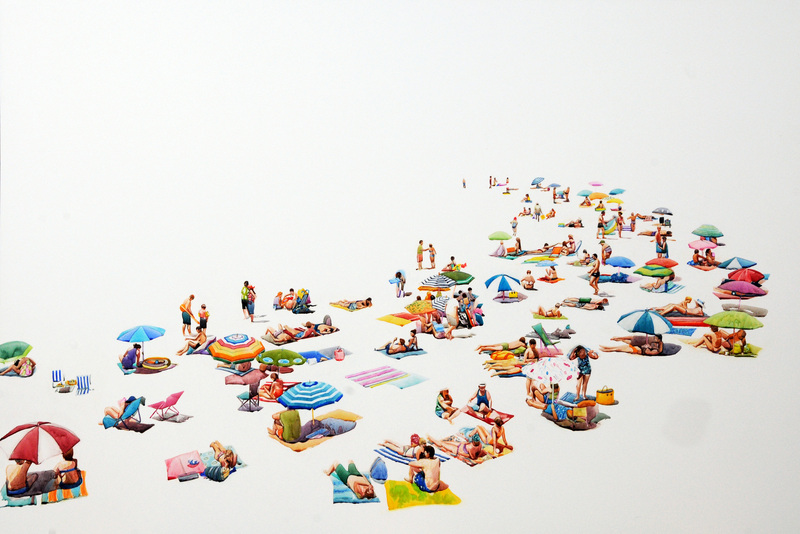 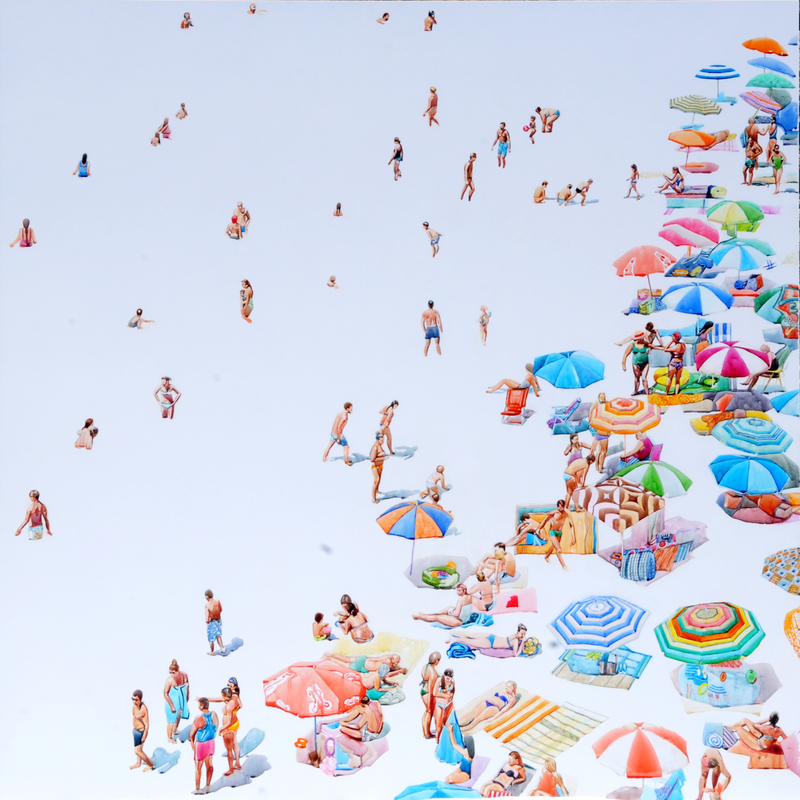 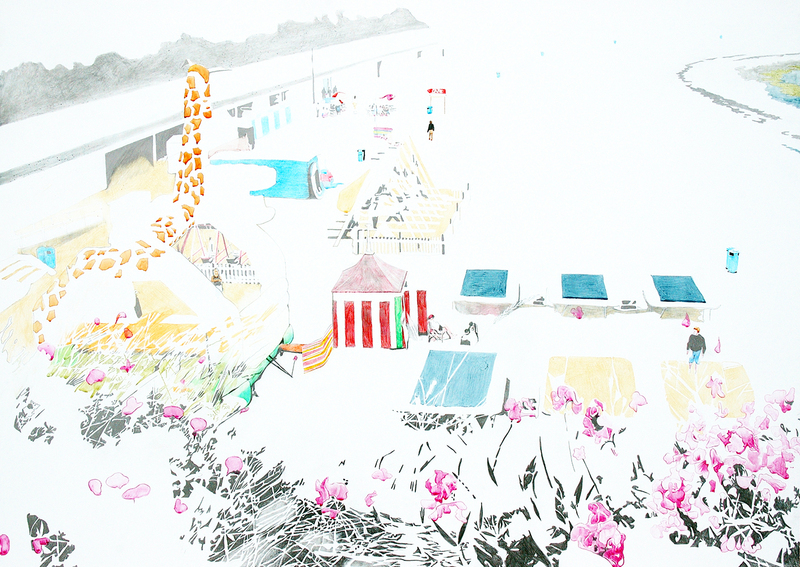 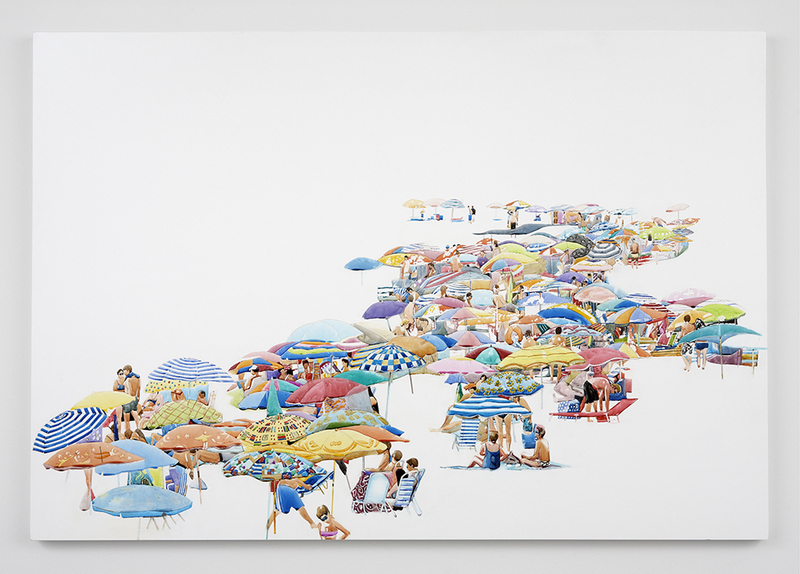 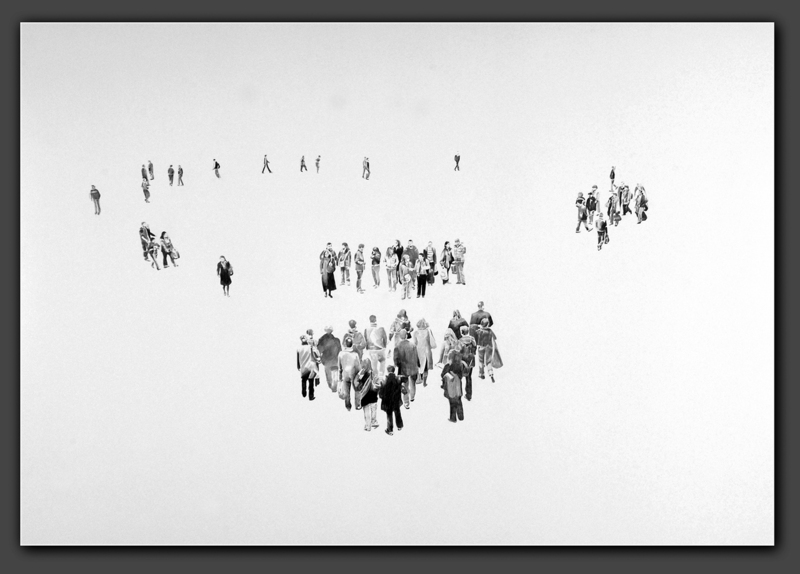 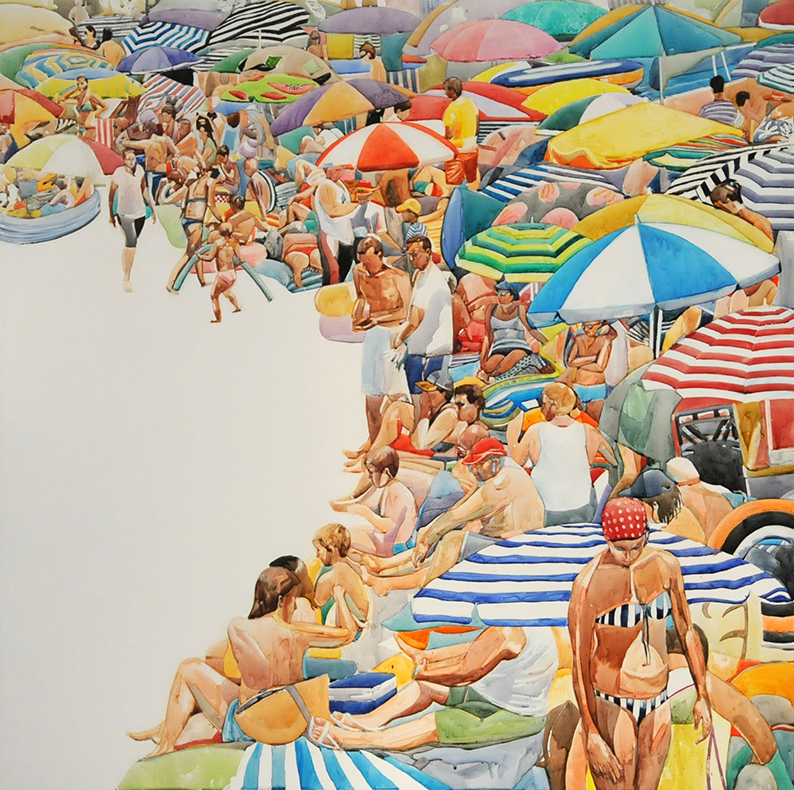 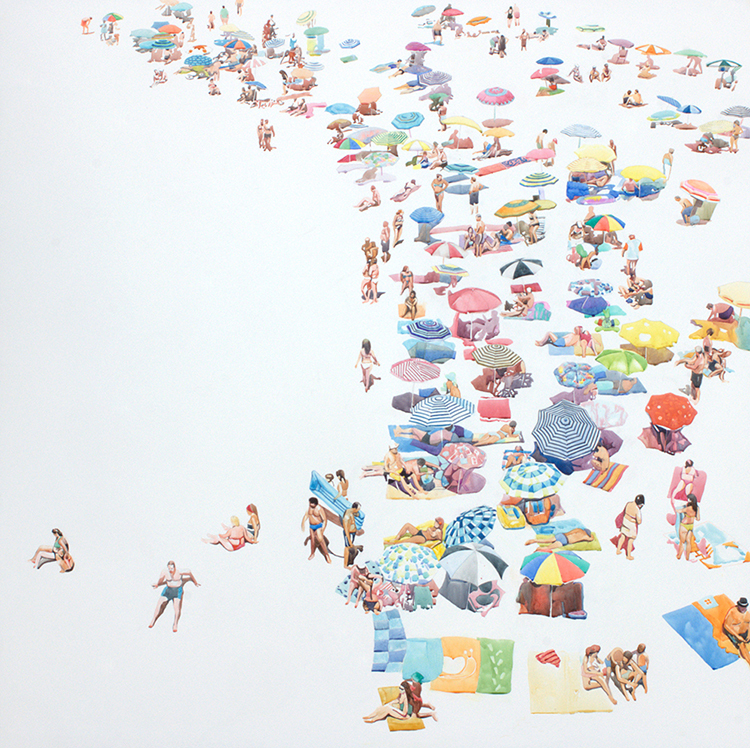 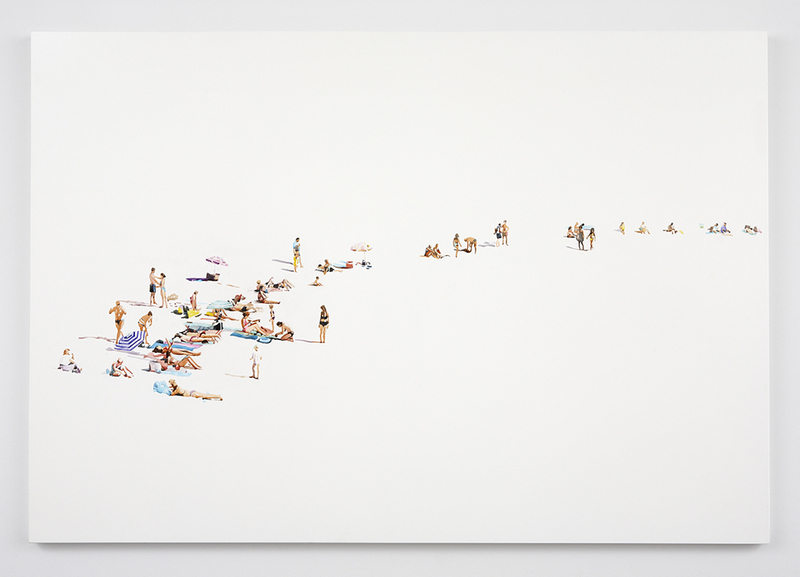 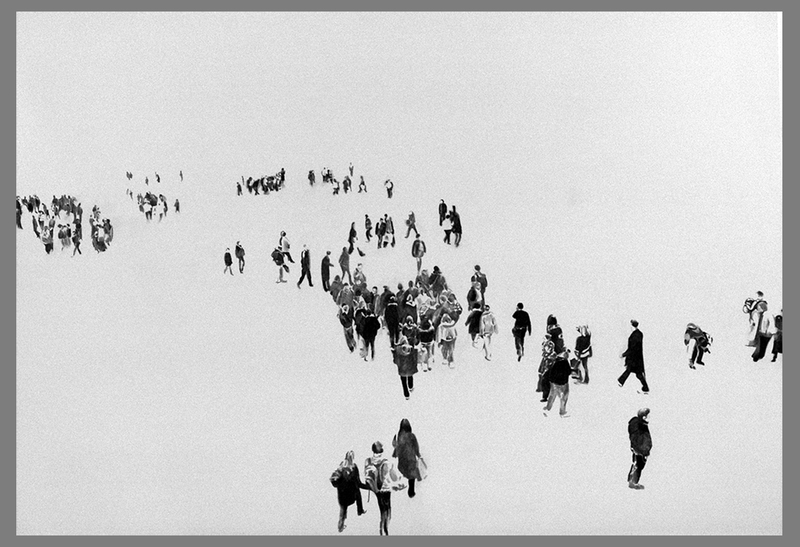 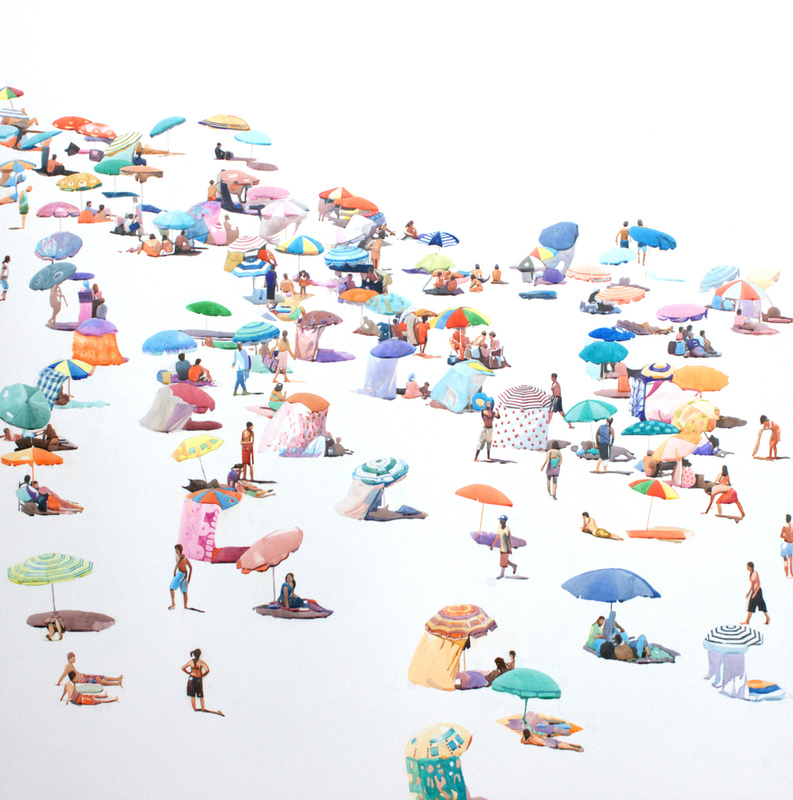 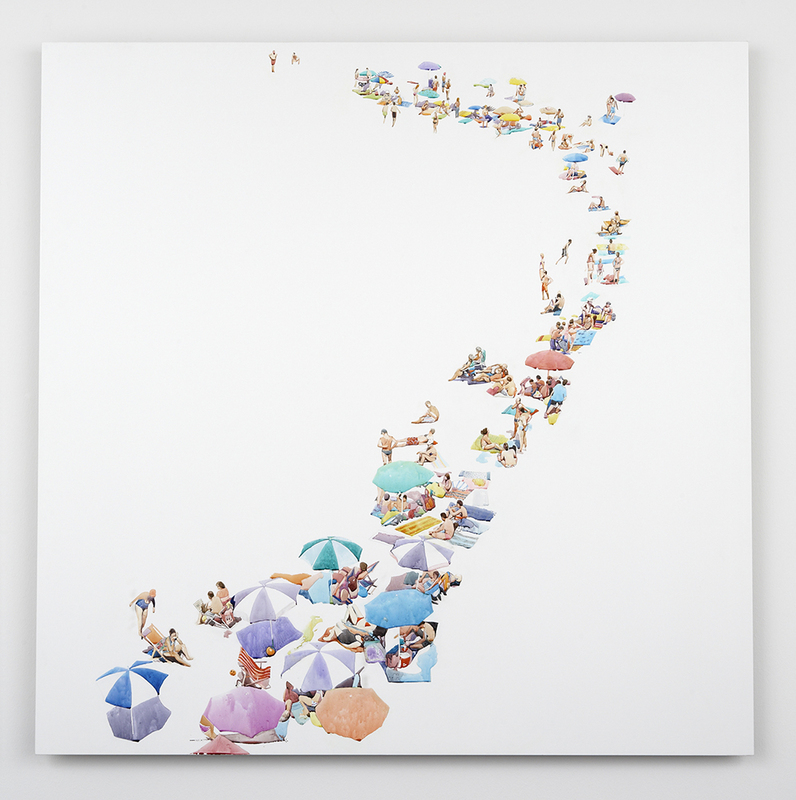 Shelton’s work focuses upon the beach as a destination that continually draws large crowds of sun-worshipers, families on their annual holidays and seasonal tourists. 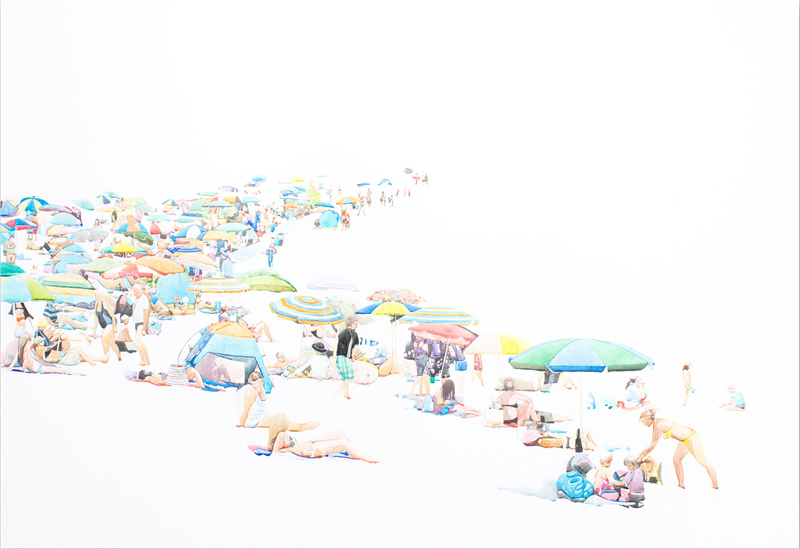 The beach in her paintings becomes an indefinable landscape as it is systematically transposed into a white neutral space. 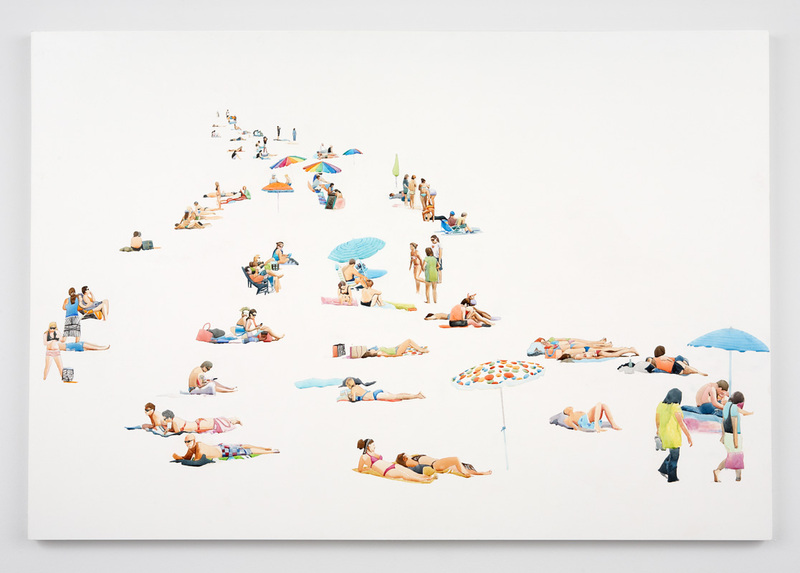 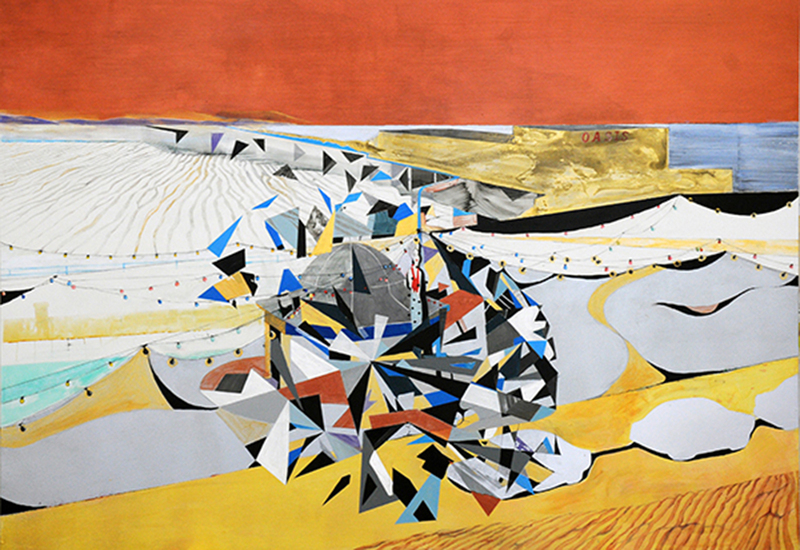 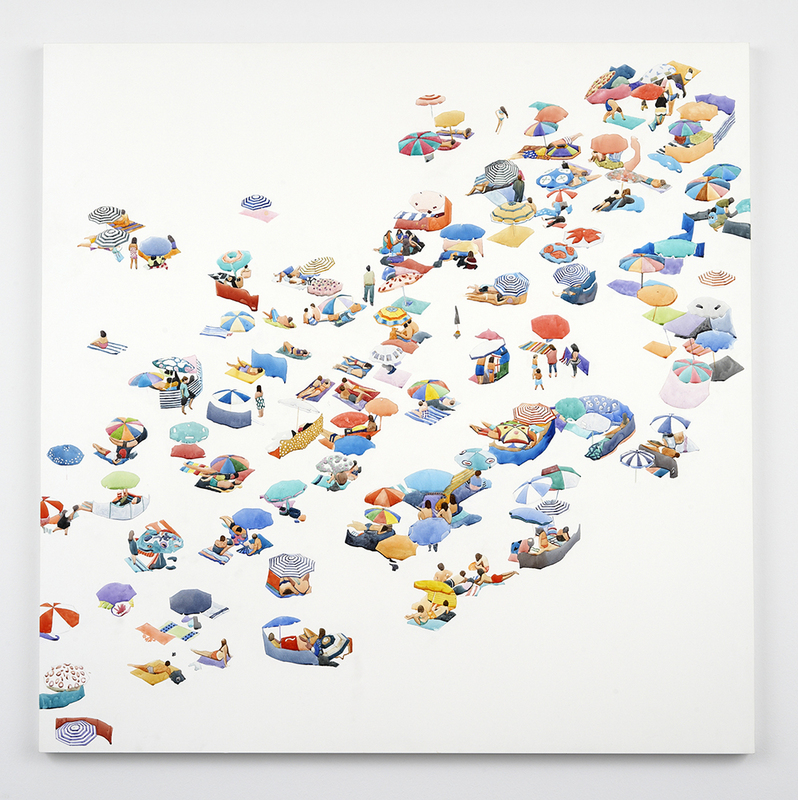 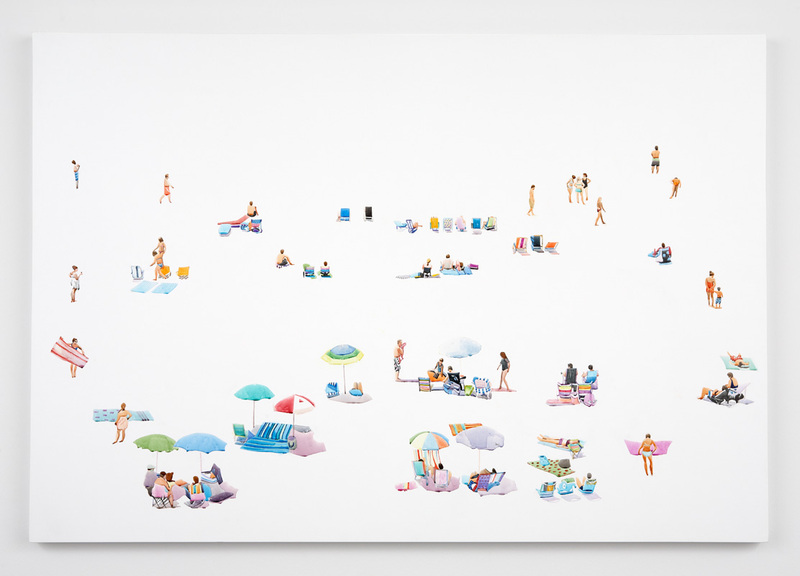 The effect of this is to highlight the occupants of these spaces as an interconnecting landscape of figures; the elbows of sunbathers connect with the heel of a woman offering a beach ball to her small son, who’s blond hair in turn connects with another family group. 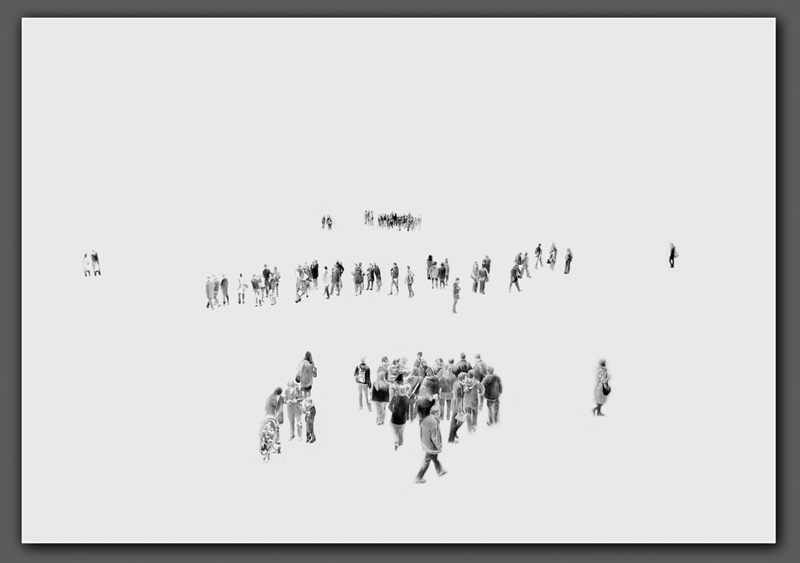 Each individual develops a micro narrative to create its own separate story. 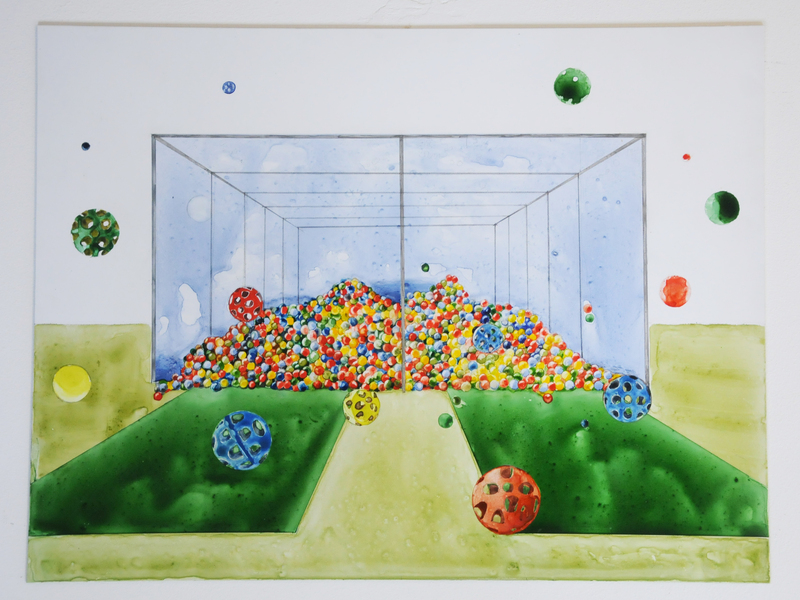 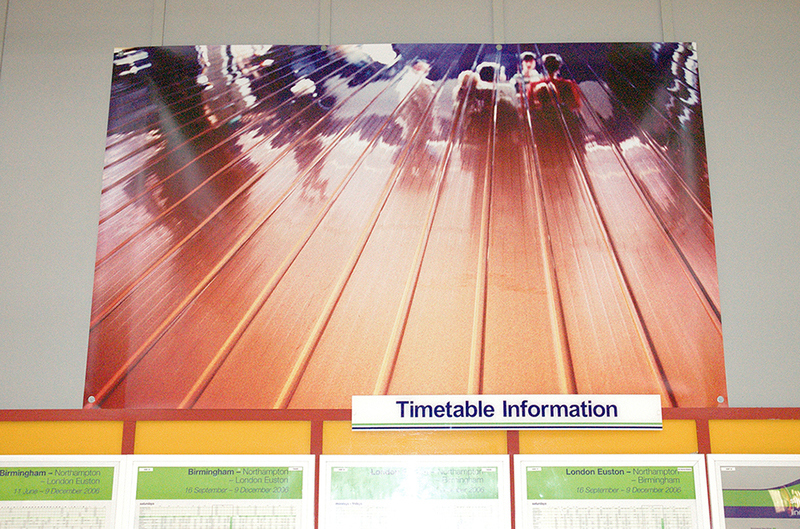 But each ‘atom’ of the tale contributes directly to the overall composition of the work. 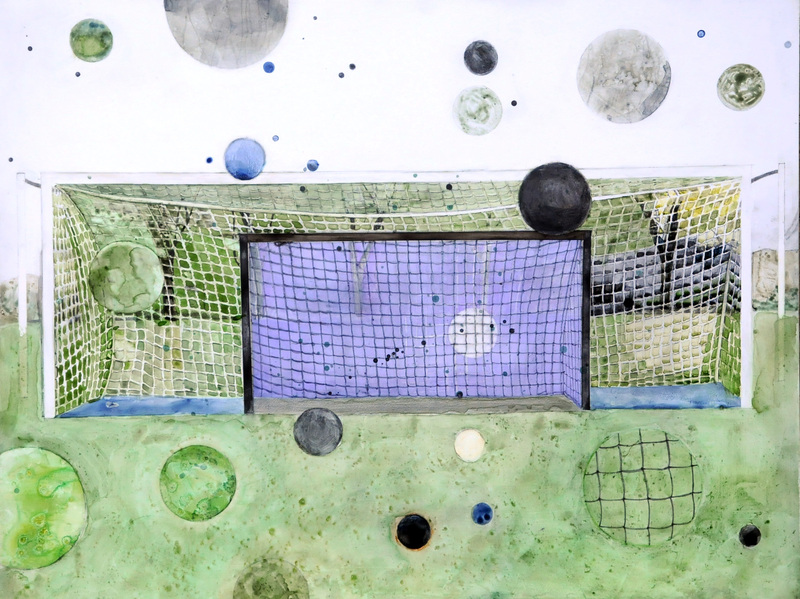 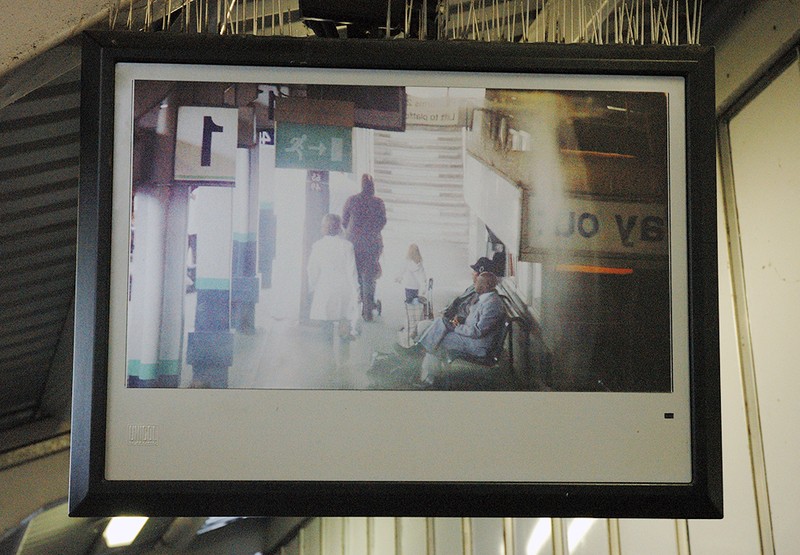 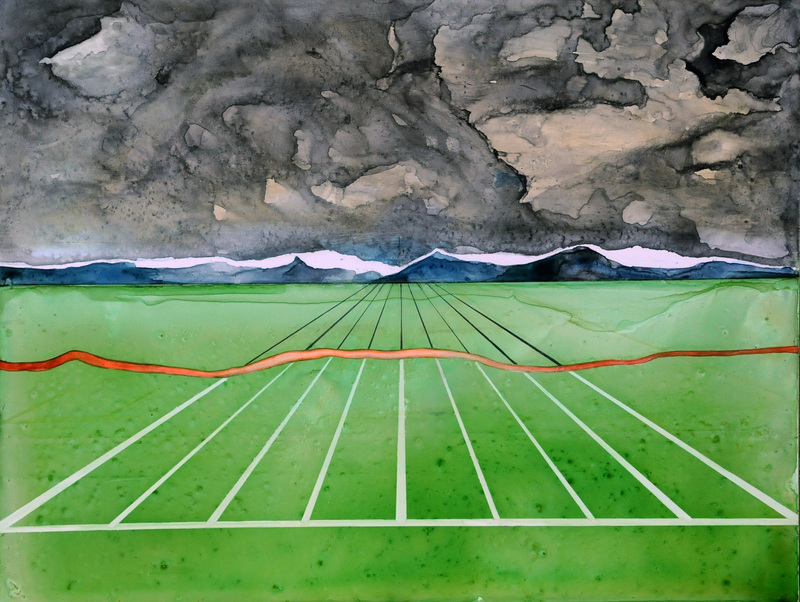 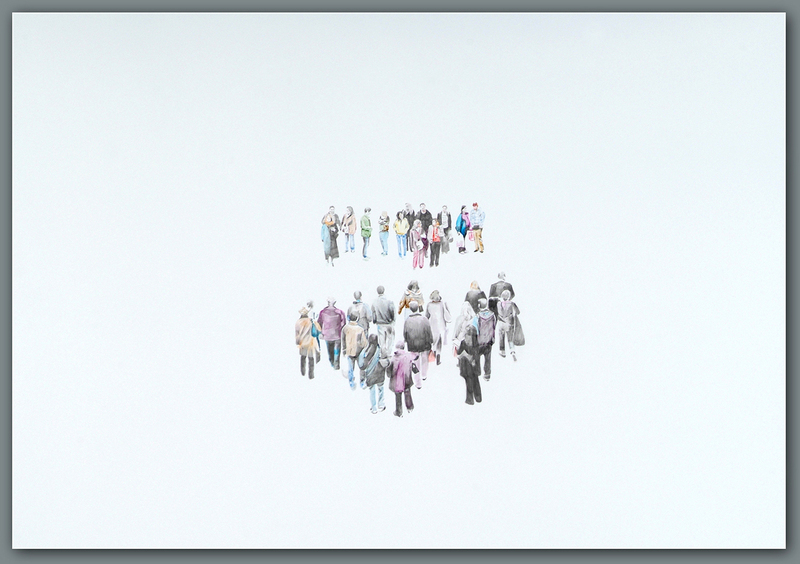 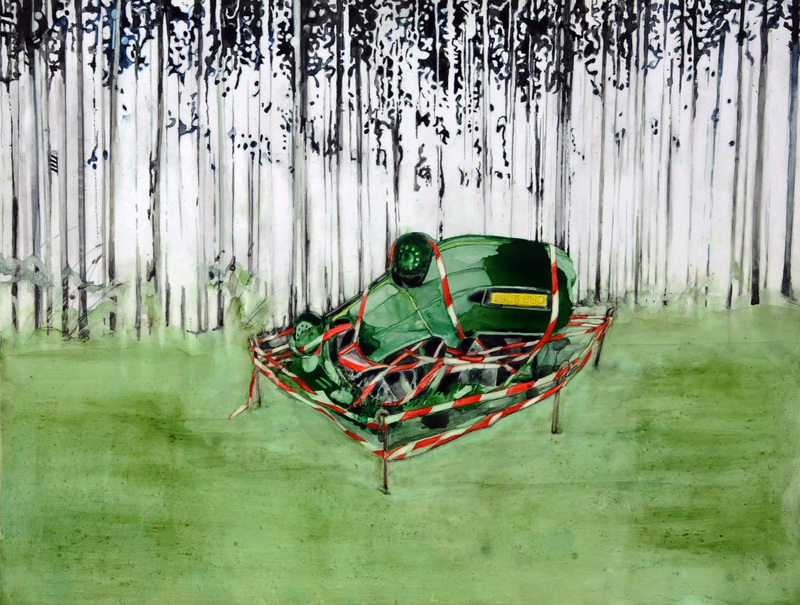 ‘The Playing field’ is a body of work that evolved from my residency at Aberystwyth Art Centre in 2010. 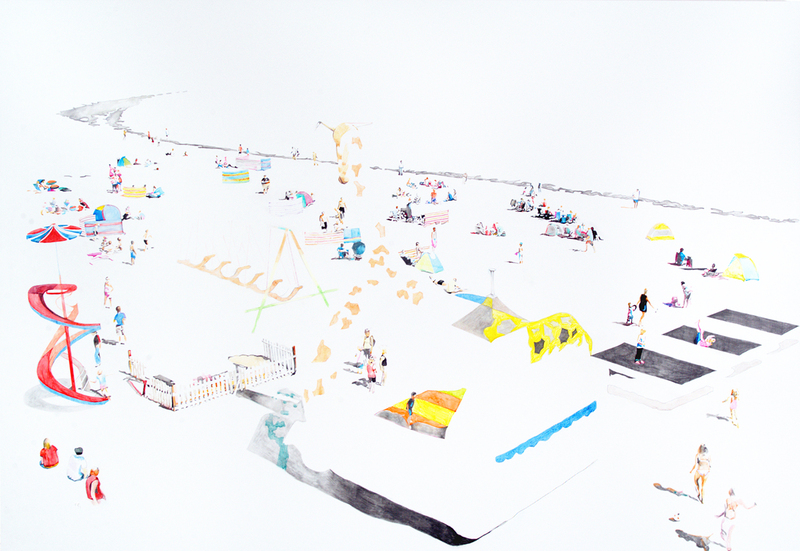 The Playing field is a stage where many activities take place from leisure to pleasure to sports to country fayres to fairs and school sports days. 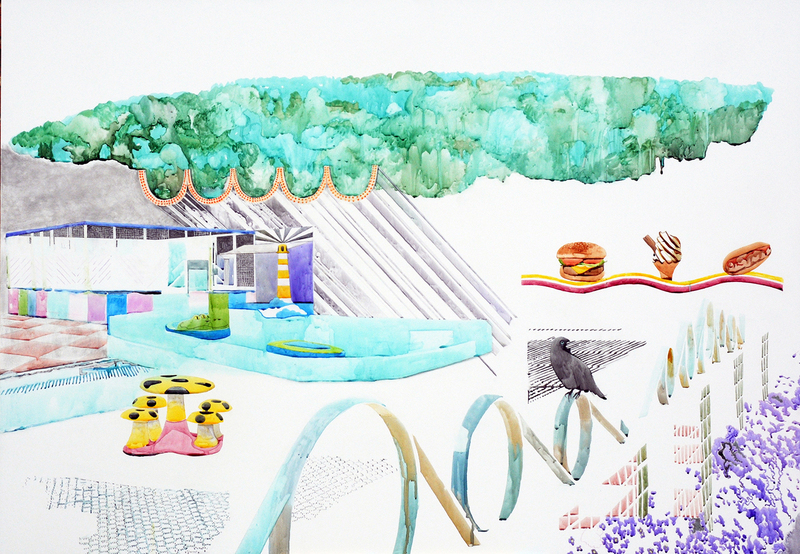 The Playing field is an accumulation of drawings, paintings and photographs of interventions, appropriations and amusement. 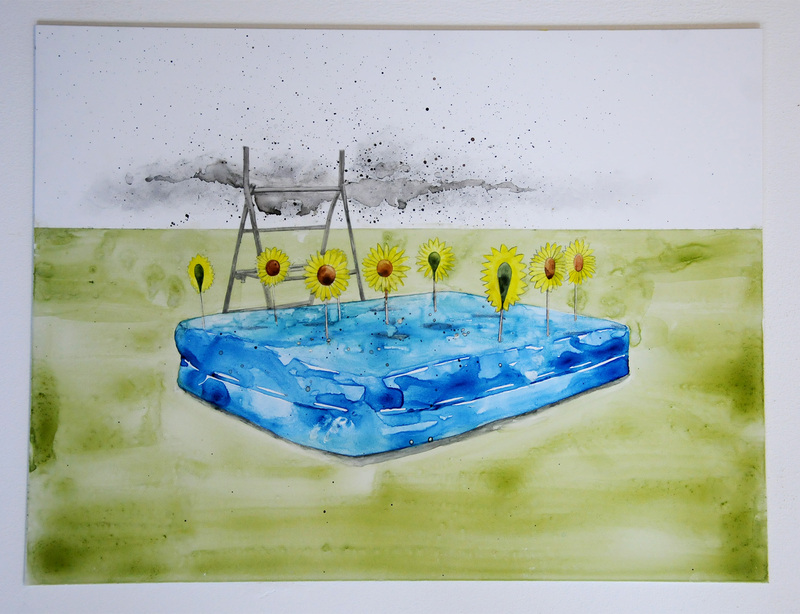 As an adult I revisit sites of play and make my own mark, children make their own mark and on occasions authorities intervene. 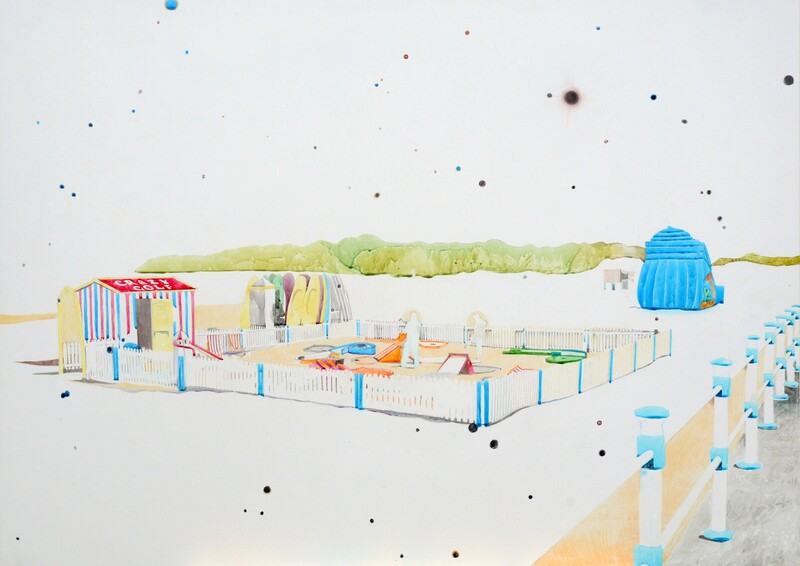 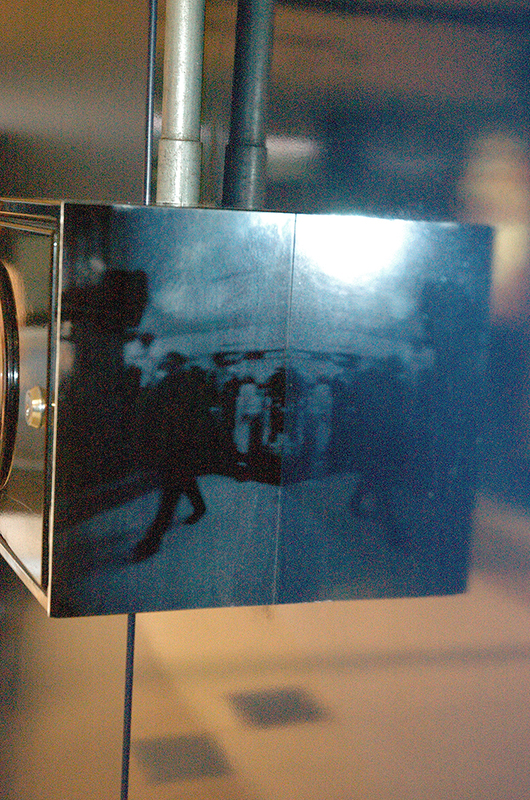 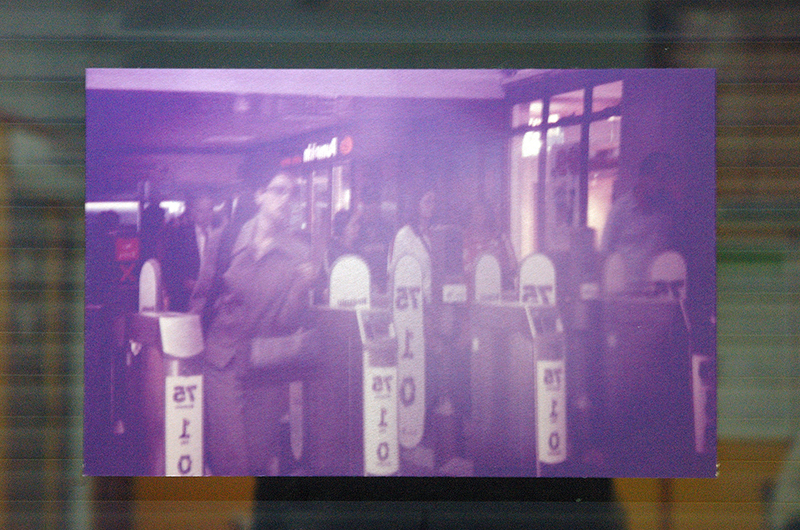 In the main my work is essentially about psychodynamics of space and how we function taking an objective look at place – the difference with the Playing field, to that of the beach and the city – is that an internal space is operating coinciding with the physical space that opens up another dialogue. 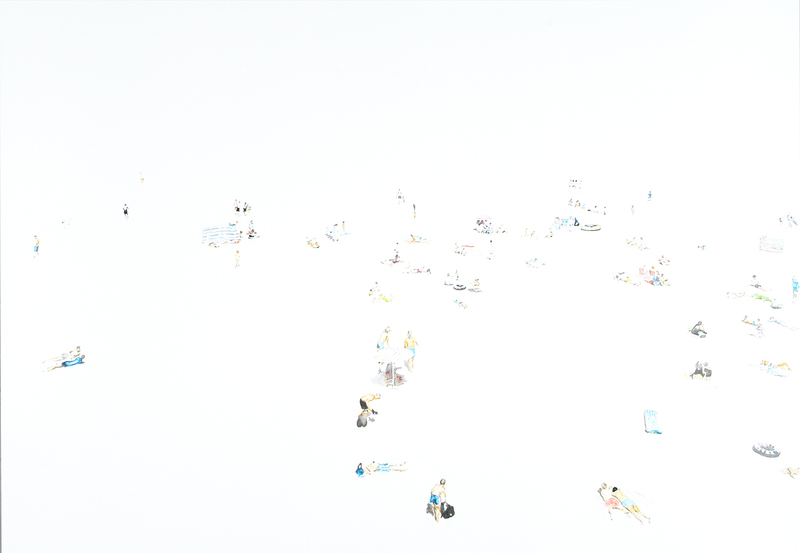 When the Balls Keep coming..